Kate Middleton has referred to her step-mother-in-law, Camilla Parker-Bowles, as a wrinkly old rhinoceros! It seems that Kate Middleton and Prince William consider Prince Charles’second wife, Camilla Parker-Bowles, to be an enemy. Camilla stands between William and the throne as she continually agitates for her husband’s ascendancy. Camilla works full-time to see Charles crowned King of England and herself named Queen consort. She goes about her tricky business both by convincing Charles to assert his right to be the next monarch and by slyly working to undermine Queen Elizabeth II’s confidence in her grandson. William shot back that “the old girl” looks even more wrinkly and leathery up close! With that they burst into uncontrollable giggles. Still the joke did little to ease their bitter disappointment at the Queen’s decision to put Prince Charles on the throne instead of William. As GLOBE revealed last week, the prince was “stabbed in the back” by his father, Charles 63, and his plotting wife, Camilla, 64, during Queen Elizabeth’s Diamond Jubilee celebrations. Not only did Camilla steal Charles from William’s late mom, Princess Diana, but she recently added insult to injury her by saying Diana was mentally ill! 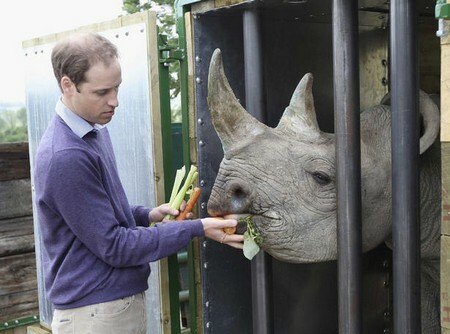 I think it is fair to say that neither William nor Kate are fans of the wrinkly old rhino. What do you think? Did Princess Diana’s Mental Illness Cause Prince William To Marry Kate Middleton?